• GBP weighed down by renewed UK political woes. • Reviving USD demand adds to the bearish pressure. • Bulls showing resilience below 1.40 handle. The GBP/USD pair reversed a dip to sub-1.4000 level and quickly rebounded around 50-pips from session lows, touched in the last hour. The pair extended its retracement slide from closer to mid-1.4300s, fresh post-Brexit highs, and momentarily dropped below the key 1.40 psychological mark during the early European session on Tuesday. 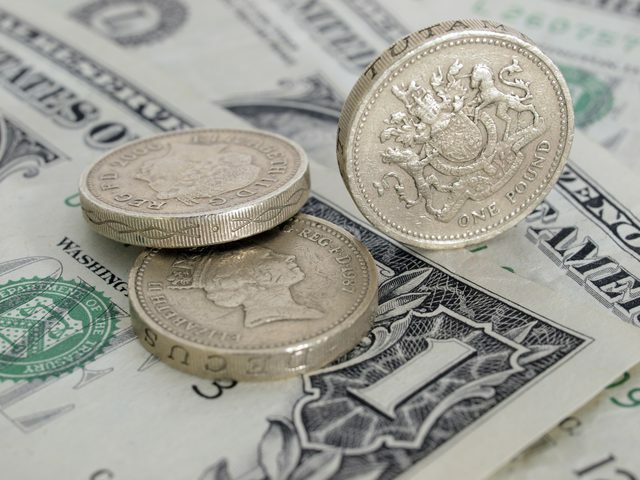 Against the backdrop of reviving US Dollar demand, backed by the recent upsurge in the US Treasury bond yields, another UK political crisis, wherein Theresa May is facing renewed pressure to quit as PM, kept the British Pound on the defensive. Bulls, however, showed resilience below the 1.40 handle and seemed to have prompted some short-covering move. The pair has now recovered back to the 1.4030-40 region as investors now look forward to the release of CB's Consumer Confidence data and the BOE Governor Mark Carney's testimony before the House of Lords Economic Affairs Committee for some fresh impetus. Any subsequent up-move is likely to confront fresh supply near the 1.4070-75 region and is followed by a strong support break-point, now turned important hurdle, near the 1.4100 handle. On the flip side, bulls might continue to try and defend the 1.40-1.3990 support area, which if broken decisively is likely to accelerate the fall towards 1.3930-25 horizontal support en-route the 1.3900 round figure mark.